The guys arrived on time, early as they said they would, set up and were at full steam within the hour. It was a cold day and yet they still worked as if it was a sunny summer day. Great attitude from Joe and his team and not afraid to answer any and all questions. 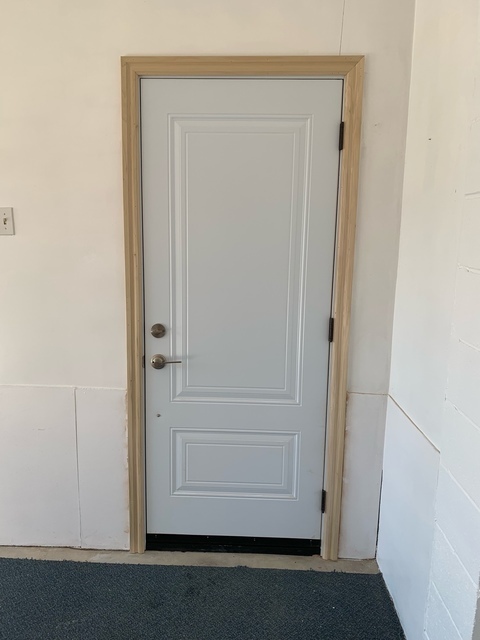 Set up the new door, assembled it, installed it and by lunch they were pretty much completed. Joe talked about features on the unit, the remote and all the new applications with wifi and tech of today. It's too bad that I can only add one garage door but during our conversations I found out that Joe also handles doors and windows so there is a good chance I will be seeing him and his crew soon. Thanks Guys for such an amazing job and keep up the awesomeness. Thank you so much. It was a pleasure working with you, the hospitality was greatly appreciated. The espresso helps to keeps us warm and working. We look forward to working with you in any future projects you may have. Great team and amazing work. Would recommend them for sure. Glad I chose to go with them. It's a pleasure working for great customers. 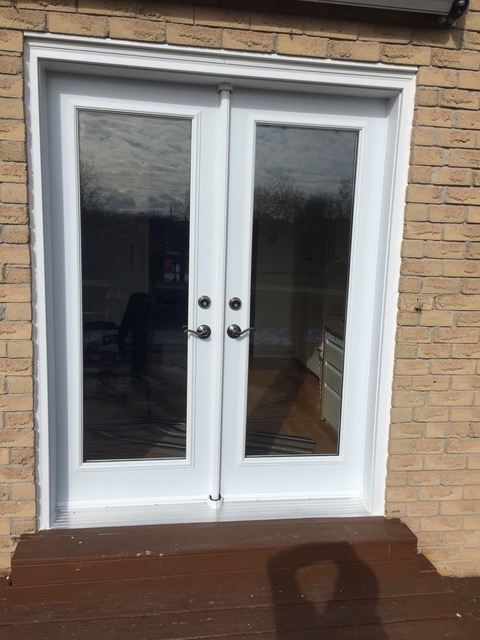 It was a tight door but we excel in those types of installs. Joe is a true professional! We had a very heavy 1980's sliding patio door which was in very poor condition replaced. It took less than 2 hours for the work to be done and the old one taken away for disposal. The price was excellent and both the quality of the new door and work done was commendable. I will certainly have Joe do more work for us in the future. It was an all around great experience! Thank you so much. It's always a pleasure to work for such great clients. Joe and his team are amazing!!! His installer Sam was most courteous, polite and easy to deal with. I would definitely recommend Joe and his company to anyone who is looking for a brand new garage door at a very reasonable price, service was excellent!!! Thank you so much for the positive feedback. I must say a good customer is as important as a good contractor. Enjoy your door! The original garage door that was installed in my new house had water coming in. I had a seal put on it and a small hump that was installed. For 10 years I didn’t have water coming in. 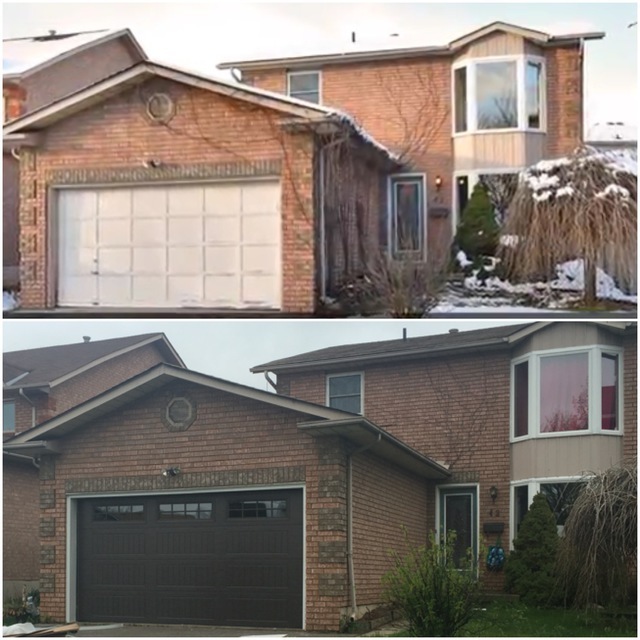 The garage door didn’t work as well anymore so I decided to get a new one. I ordered a garage door from this company in Nov 2016, I was told that it would take 4-6 weeks. It was received end of March 2017. They finally were available to install first week of April. One of the workers came to do my capping and stated that the door didn’t appear even and I will have water possible coming in, he sad to let the boss know as soon as possible as he doesn’t get around to things quick enough. They were supposed to come back on several occasions to finish my caulking, but always ran out of the material. I did contact the owner Joe, he stated that it was the hump in a condensing manner, I argued that in the past that is what corrected the problem. There also wasn’t a seal at the bottom of the door. He told me I don’t need one and I should removed the hump. Brfire ordering I asked if water would leak in and he insisted it wouldn’t. Now that it did, he said he never guaranteed that, I’m not sure why someone would order a door to have water leak in and damage property. I asked if he will pay for the hump again or the seal. He stated if the seal blocks the water he will. Long story short, it’s Nov 2017. I am still waiting for him to finish the caulking. He stated that CHI doors would void the warranty if I put in a seal called the tsunami with another door company. This wasn’t true. They didn’t understand why he would said that as it isn’t attached to the door. Joe said he wouldn’t come back to finish my caulking until I get the company to put in the seal and he “inspects” it. I paid him in full the first day, because I felt I could trust him with all the great reviews. Having no leverage he didn’t finish the job. The water is rotting my garage and I have to call in someone to fix that as well. Now that the hump was removed he stated I should deal with the CHI doors that said that. Shifting the blame now that he’s wrong. And the Company is US based who refers you back to the Canadian contact! 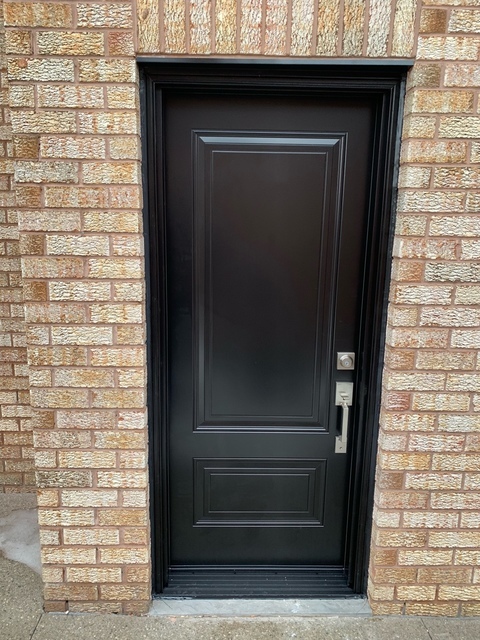 As we discussed prior, your door had standing water and that is not a good thing and would void your warranty, there was never any mention of a tsunami seal neither had you requested that from us but to my knowledge it is not available from CHI as an option so we do not offer it. What would and will void your warranty was the insistence on keeping a concrete hump that keeps standing water in front of the garage door and not allowing it to wash away normally. Garage doors are not 100% water tight as you were told so the next course of action is for you to call the manufacturer as we requested you do. 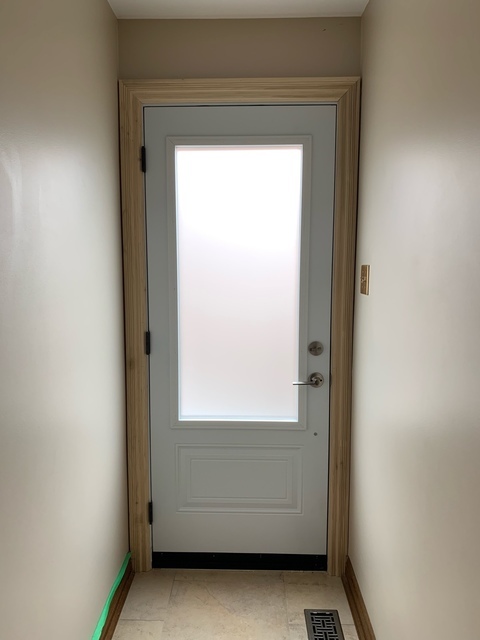 You falsified what was told to you and we DID return on numerous occasions both to balance the door and to apply more caulking along the Bottom to try and minimize water penetration. Understand that there is not a solid stop as a window or an entry door it is simply pressure from the rubber to the floor of the garage and unfortunately in your case that's not enough to stop the water. Once again we will act on any request by the manufacturer to try and help the issue you're having. We also have a posted video of the standing water problem you have that we cannot fix for you. There is in fact a seal at the bottom, side and top of your door. We went to the extent of adding extra caulking to try and prevent the issue to the point that water would just sit for prolonged periods of time in front of the garage. What your actual issue is your North facing home and Mother Nature as well as the cement grade on your garage. We have exhausted all options with you at the moment and there's nothing further we can do. As I said previously and will reiterate, we will act on any recommendations from the manufacturer. 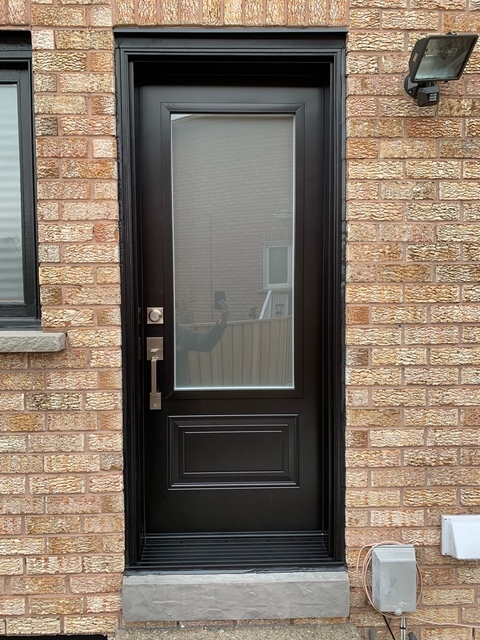 Anyone that would like to see the video of your door can visit our Instagram page at jr_management_group and see for themselves what the issue is. Amazing service from start to finish! We hired Joe and crew from JR Windows & Doors to quote and install a new 14' garage door. From the initial visit for quote thru to the installation the service was excellent. Knowledgeable, professional and we love the completely new look it's given the front of our home. We'll definately have them back in for our upcoming window reno project. Thank you for trusting us with your home. It was a pleasure working with you. Joe was first rate all the way, taking a good amount of time to answer all of our questions, and then helping us pick the product quality/style/price point that met our needs. Joe also has a great customer centric approach, he is both very easy to talk to and conscientious with the quality of his work, which was perfect in our view. We're very happy with the entire experience and already have family members calling him for their own window and door updates. Thanks again Joe for your great service - you're exactly why we choose small business people for all our home reno's. 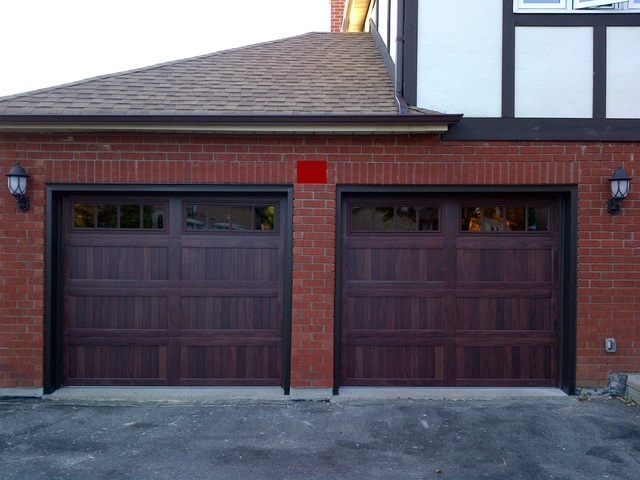 We were planning on replacing or aged and broken wood garage doors with new carriage doors but hadn’t got around to doing the research to find a contractor. 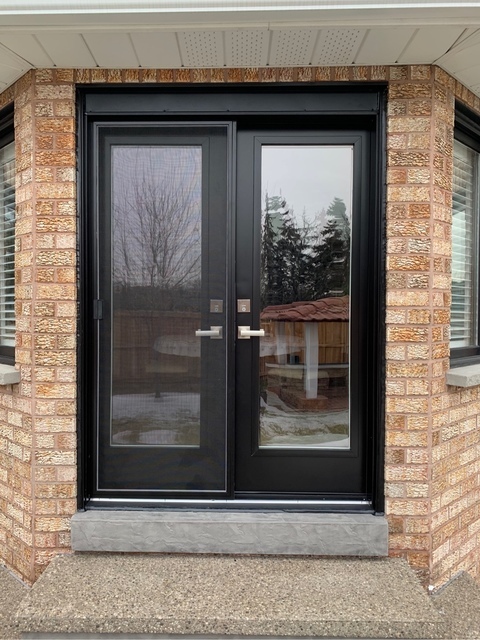 Fortunately for us, several of our neighbours were also planning on replacing their doors and had already done extensive research and decided on going with Rob from JR windows. Rob came over the next evening to show us samples and take measurements. I liked him immediately and knew my neighbours had made the right decision. He was thorough and professional and I really appreciated his recommendations when it came to style and colour selection. The doors were installed just a few weeks later. We are extremely happy with them. Not only were they expertly installed and look beautiful, but Rob and his team (including his adorable father!) left the place spotless and removed all old doors and hardware. They also installed our new garage door opener for a very reasonable price! I would not hesitate to recommend JR Windows and Doors. In fact, in a couple of years when it’s time to replace our windows I know who I’ll call! We are thankful for the trust you showed in us and are appreciative for the opportunity you afforded us. We hope you enjoy the new doors. 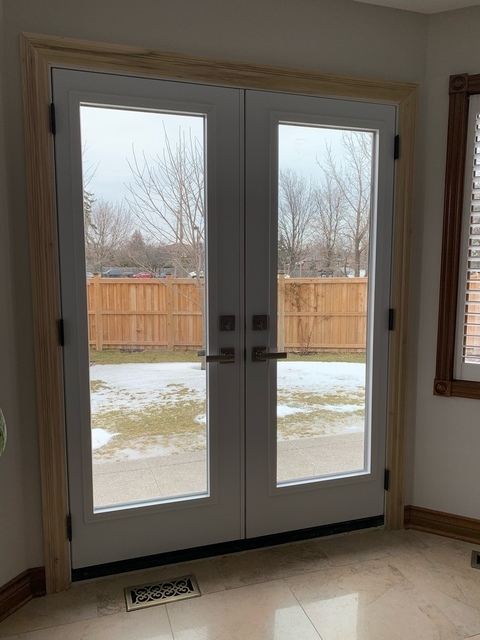 After getting 5 contractor quotes for a group of 6 homeowners wanting to replace aging clapwood garage doors with CHI carriage house doors, Rob from JR windows came out one night to meet with us and take measurements. Rob was thorough, did not pressure us and we got the best pricing by far. Rob was dealing with a group of owners that ranged from ultra picky and frugal to ones that were willing to pay for premium product and services. He made everyone happy and even though his supplier staggered the delivery of the doors, everyone is happy with his work. Rob left the site spotless and removed all old doors and hardware. As with all reputable companies, all hardware was replaced, doors balanced and openers re-attached. Couldn't ask for a better garage door company...I would not hesitate to recommend him to anyone. Don't let his young appearance fool you...he and his staff are pros! We believe in treating everyone with respect and completing each and every job with professionalism.